Founded in 1849 by Princeton-educated Presbyterian missionary Dr. Daniel Baker, Austin College enjoys a place in early Texas history and remains a recognized leader in higher education for innovative programs, a strong faculty, and dedicated students. Austin College was granted a charter signed by Texas Governor George Wood in November of 1849. Modeled after those of Harvard, Yale, and Princeton, that charter remains in use today, making Austin College the oldest institution of higher education in Texas operating under its original name and charter, as recognized by the State Historical Survey Committee. The College opened in Huntsville and admitted its first class in the fall of 1850. Its original building still stands in Huntsville. Two presidents of the Republic of Texas, Sam Houston and Anson Jones, served on the original board of trustees. Three yellow fever epidemics, the Civil War, and difficult economic conditions prompted the College’s relocation to north Texas. Austin College moved to Sherman, a more promising area, in 1876. 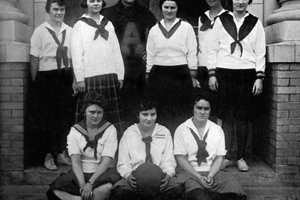 The College became coeducational in 1918, and in 1930, merged with Texas Presbyterian College, an institution for women. The Depression and World War II temporarily interrupted expansion and development. Then, beginning in the 1950s, the College engaged in extensive review and experimentation aimed at improving the traditional liberal arts curriculum. 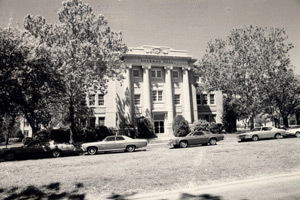 In 1972, the College adopted the comprehensive educational program that continues to shape much of the academic life and curriculum of the College. The College celebrated its Sesquicentennial in 1999, highlighting 150 years of quality education and a history of learning, leadership, and lasting values. A related $120 million campaign resulted in substantial growth on campus. The College also enjoyed record enrollment and continued excellence among students and faculty. In 2009, Austin College welcomed its first woman president, Dr. Marjorie Hass, as the 15th president in the history of the College. She continued the strong legacy of her predecessors until she resigned in 2017 to assume the presidency at Rhodes College. The Board of Trustees named Steven P. O’Day, J.D., as the 16th president of Austin College, and he officially began his leadership role October 30, 2017. He continues the College’s long tradition of excellence in academic preparation and dedication to values, ideals, and ethics in the campus community. Since its founding by the Brazos Presbytery, Austin College has been associated with the Presbyterian Church. The covenant relationship the College maintains today with the Presbyterian Church (U.S.A.) provides a distinctive flavor of to the life of the College. Sherman Hall is one of the oldest buildings on campus today. 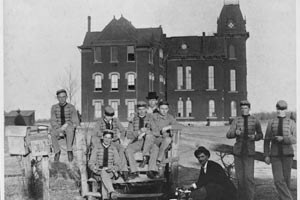 When the College’s original “Old Main” building was destroyed by fire in 1913, the citizens of Sherman donated $50,000 for the construction of Sherman Hall, which began in 1914. The three-story building contained 17,520 square feet and housed the College’s administrative offices, an auditorium-chapel, and a library. The stained glass windows on the second floor were dedicated to the memory of individuals who served as early trustees of the College. The building was remodeled in the 1960s to become the home of the humanities, and in 1965, the auditorium was named to honor Hoxie Thompson, 1901 graduate and long-time trustee and benefactor of the College. In keeping with the College’s Master Plan for the 1980s, Sherman Hall underwent a top-to-bottom renovation at a cost of $1.37 million in 1989. Currently, Sherman Hall houses offices for English, history, philosophy, and religious studies faculty and classrooms. Hoxie Thompson Auditorium remains, though now seats only 157 people compared to the 1,000 it could hold before its large balcony was closed and renovated into offices in the 1960s. Hoxie Thompson Auditorium has welcomed some prestigious guests. In the 1920s, Magicians Houdini and Blackstone performed on its stage as did Metropolitan Opera singers Madame Schumann-Heink and Anna Case, as well as the National Orchestra of Mexico. In 1919, former president William Howard Taft who spoke there on the League of Nations. Much later, former president George H.W. Bush took the stage to speak to students as the 2002-2003 Chair of Excellence in International Leadership at Austin College.